Girls’ Night of arranging beautiful blooms, while toasting bubbly and nibbling on pretty hand-painted cookies, and donuts? You can’t go wrong! Janie started by teaching us the names of all of the beautiful flowers we will be adding to our peony arrangements, and giving us some guidelines on how to create our beautiful arrangements, here we are listening intently. Time to break for treats and toast some bubbles! There we have it! My lovely peony arrangement which really zhushed up my kitchen table. 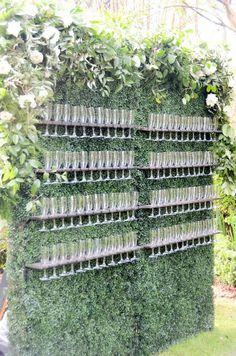 This entry was posted in Tips, Uncategorized, Vendor Spotlight and tagged bridal shower, bridesmaids, girls night, peonies, workshop. Located on the 6th floor of the historical Hudson’s Bay building on Stephen Avenue, you’ll find a grand event venue with an open floor plan and loads of natural light, historic charm and new urban accents. I’m excited to have been invited to check out the new event space at their grand opening party called Hudson Unveiled. Made my mark on the black light guestbook, can I just say that one of my couples NEEDS to do this for their wedding! Throughout the evening, each new event space, each with its own theme, was unveiled. Each room’s theme had a signature cocktail to match, we loved the Canadiana cocktail made of Canadian rye, peach cider and maple bacon! We started with sangria garnished with a fruit popsicle, then hit up the champagne bar for bubbly with choice of fresh fruit or fruit puree, and then enjoyed a few classic cocktails. Can I just say, that the food is to die for!! Props to Oliver & Bonacini. The Liquid Nitrogen dessert station seemed like a great place to start our evening. Imagine giving your wedding guests this experience! How about these custom monogrammed chocolates! Did you notice the marshmallow and cinnamon hotlips topiaries? You could find us hanging out around the Canadian Shucked Oyster Bar where guests could choose from house made hot sauce, mignonettes, bloody mary sauce, lemon and horseradish. Another exciting food station had a giant hollowed out cheese wheel, out of which was served wild mushroom risotto. With a smaller cheese wheel, this is actually a really easy way to add “WOW factor” to your next dinner party! Here is a beautiful moose antler centrepiece at the whole roasted rare breed Mangalitsa pork at chef attended action station. Live music and dance performances kept us entertained, as we mingled with wedding industry friends and hit up several different photo booths. The sweet ending to this incredible event was champagne flavored cotton candy on a flashing glow stick. Thanks so much for an unforgettable evening! Birch & Bunny Weddings and Events is proud to be WPIC certified. Servicing Calgary and area, Canmore, Banff, and destinations worldwide. This entry was posted in Vendor Spotlight and tagged Grand Opening, Hudson Unveiled, Venue, Wedding Venue. Chandelier wedding cakes seem to defy the laws of physics and gravity. Suspended cakes are a real show stopper that guests will never forget! 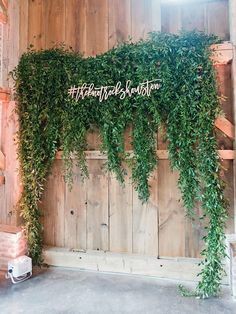 Hanging decor has been growing steadily in popularity over the past few years, so I wanted to take a moment to appreciate these impressive works of art. If this isn’t glamour, I don’t know what is! The world was awe-struck when Kayley Cuoco had that gorgeous chandelier cake pictured above for her wedding to Ryan Sweeting. These glamorous works of art are not just for celebrities though. I recently spoke to Lynnette, of Calgary’s own Swirl Cakes & Cupcakes about her Chandelier Cake creations. Lynette, what is the secret to creating these gravity defying, upside down hanging cakes? The secret is finding a cake designer who know the principles of engineering cakes and how tiered cakes are put together. Once these principles are mastered, anything is possible- including defying gravity! What are some things that a couple should keep in mind when selecting a cake company? First is finding a company who is licensed. It is so important to hire someone who is certified in food safety and is inspected to ensure proper food handling is performed for the safety of you and your guest. Next is find someone who matches your style and can create what you have envisioned. It’s also important to find a designer who bakes from scratch- this provides a better product and more flexibility in flavors and varying flavor profiles. Finding a designer who has a good reputation and works with wedding planners can be helpful as well. Planners are exposed to a wide variety of artists and they have done the work for you to provide an approved vendors list who offer experience product and great customer service. We are proud to work with our wedding colleagues since we all have the same goal in mind- providing our clients with the wedding they desire. 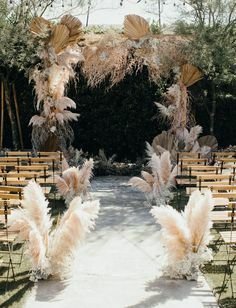 What inspired you to get into the wedding industry? We’ve been in business for just over six years and I’ve personally been designing for over 16 years now. Our company grew out of demand- it started as a hobby and then soon people who I didn’t even know where contacting me thru word of mouth to create something for them and a business was born. What is your favorite thing about designing wedding cakes? My favorite thing in designing a wedding cake is taking a couples vision of what they have and bringing it to life. There may be several styles or designs that they like and the challenge is to create those into one cake for them to reflect each element. Once we’ve create the cake, we get excited thinking about how many guests get to enjoy a pastry sensation that looks beautiful and tastes great. My personal favorite is corona cake with lime cream cheese icing. But chocolate with salted caramel buttercream and chocolate ganache is a close second. Yum, those look delicious and that chocolate with salted caramel buttercream and chocolate ganache sounds incredible! A huge thank you to Swirl Cakes and Cupcakes! What do you think, is there anything more glamorous or memorable than a chandelier cake? 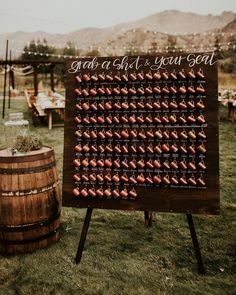 Would you consider having one for your wedding? This entry was posted in Trends, Vendor Spotlight and tagged Cake Trends, Chandelier Cake, Hanging, Suspended. Oo la la! Looking for a fun activity for you and your squad? Look no further than Ollia’s Macaron 101 Class. I took this class with my hubster Kyle. He filled in when my dear friend couldn’t make it. Even though he wasn’t experienced at baking, he’d tell you he actually had a lot of fun! Ollia Tea & Macarons describes the macaron as “the perfect union of two delicious almond meringue shells and a smooth filling; usually a ganache, buttercream, curd, or even cheese.” The shells are almond meringues made with egg whites, icing sugar, granulated sugar and ground almond. The fillings are either ganache, buttercream, jam, or cream cheese. This entry was posted in Tips, Vendor Spotlight and tagged Macarons, Shop Local.